Status quo for SE Colorado on this week's Drought Monitor map. Kiowa County remains in the D2 - Severe drought category. D4- Exceptional drought entered into eastern portion of Costilla, Huerfano, Las Animas and Alamosa counties. Additional details are in this article from KiowaCountyPress.net. All Colorado counties have entered into their respective normal growing seasons, which is a requirement to trigger Livestock Forage Program (LFP) for producers. With the different drought intensities, I would recommend producers to contact their local FSA Office to determine LFP eligibility. D2 (severe drought) intensity in any area of the county for at least 8 consecutive weeks during the normal grazing period for the specific type of grazing land or pastureland for the county. Qualified farm operators in the designated areas eligible for the Farm Service Agency's (FSA's) emergency (EM) loans, provided eligibility requirements are met. Farmers in eligible counties have eight months from the date of the declaration of April 12, 2018, to apply for loans to help cover part of their actual losses. FSA will consider each loan application on its own merits, taking into account the extent of losses, security available and repayment ability. FSA has a variety of programs, in addition to the EM loan program, to help eligible farmers recover from the impacts of this disaster. Other FSA programs that can provide assistance, but do not require a disaster declaration, include: Operating and Farm Ownership Loans; the Emergency Conservation Program; Livestock Forage Disaster Program;Livestock Indemnity Program; Emergency Assistance for Livestock, Honeybees and Farm-Raised Fish Program. 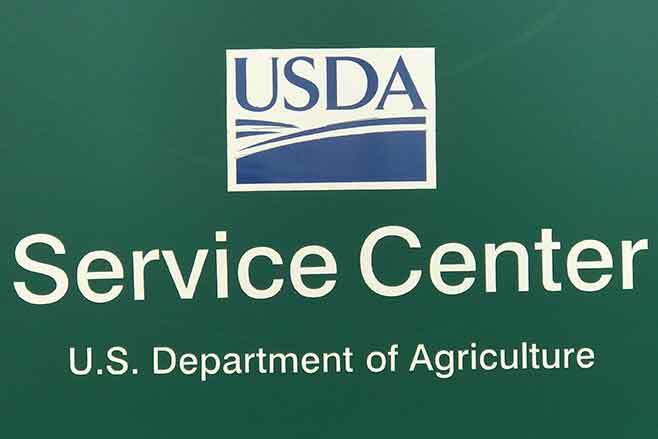 Interested farmers may contact their local USDA service centers for further information on eligibility requirements and application procedures for these and other programs. Additional information is also available online at http://disaster.fsa.usda.gov. The Small Business Administration has a companion declaration to assist non-agriculture businesses in the same counties. For information on programs visit our website located at www.fsa.usda.govor like us on Facebook, or follow us on Twitter.